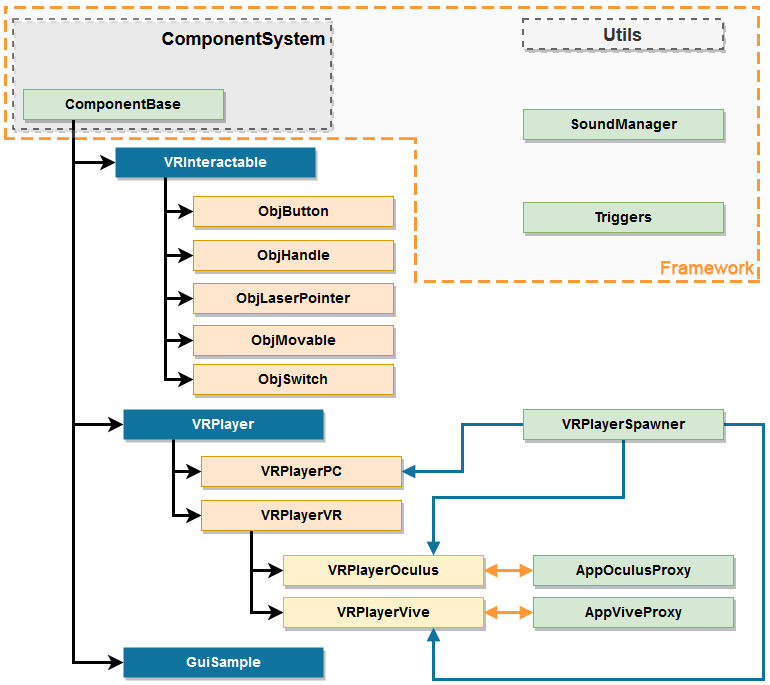 Triggers is a framework class used to mark room obstacles for the VR Player (e.g. room walls, objects, etc.) 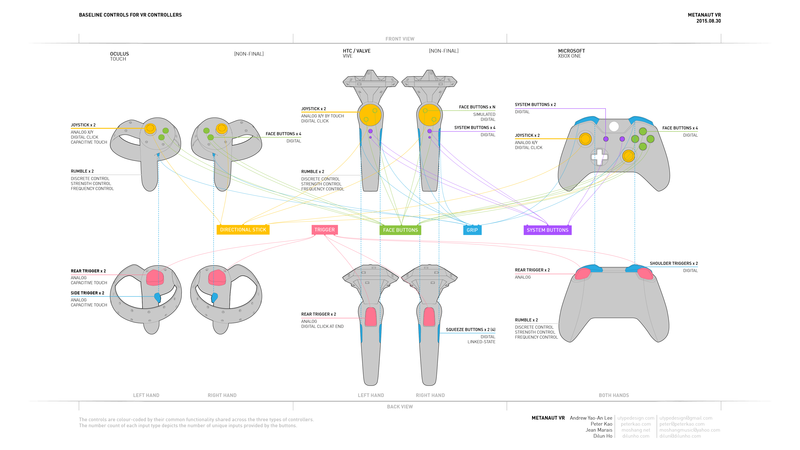 and give a warning if there is an obstacle on the way (as the player gets closer to an obstacle, controllers' vibration becomes more intense). Obstacles are not available for VRPlayerPC. 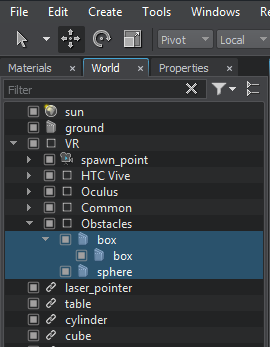 You can simply create primitives for walls and objects in your room and add them as children to the node dummy named Obstacles, which is a child of the VR dummy node (see the hierarchy in the Editor below). Primitives used to mark obstacles must have their first surface (the one with 0-index) named as "box", "sphere", "capsule" or "cylinder" in order to be properly converted into corresponding trigger volumes.